Terasic - Terasic News Labs - DE1-SoC did it again! Terasic News Labs DE1-SoC did it again! Ever since the launch of the new DE1-SoC in the Q1 2014, immediately the first 500 kits were sold out within one week time. And, up till now, we’ve shipped out over 7000 kits of DE1-SoC worldwide in the past year. Indeed, the DE1-SoC went viral almost instantly after its release in public. 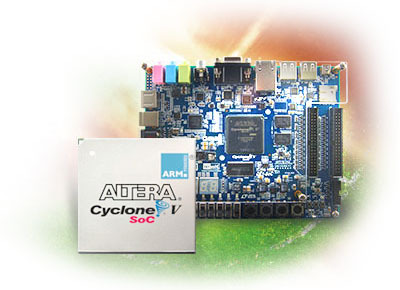 With the new integration of Cyclone V SoC and the traditional peripherals features, the DE1-SoC represents the beginning of a new era for wilder range of design possibilities. 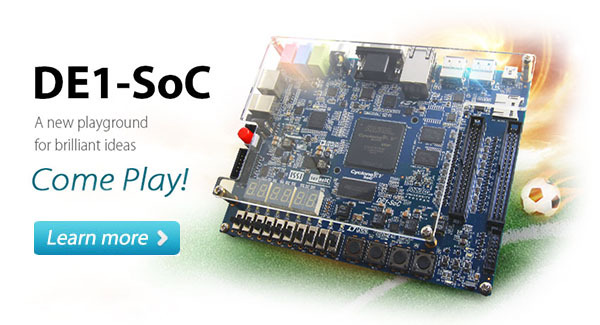 Not only this, the DE1-SoC is a great learning kit for new beginners to explore the FPGA+SoC world. Many universities have now chosen the DE1-SoC kit as their teaching materials after evaluation. We are very thrilled to share that after the success of DE2-115 and DE5-NET boards, the DE1-SoC has been integrated as part of the Computer Labs’ teaching materials at the Cambridge University, we’ve shipped out 90 kits of DE1-SoC for their lab class today. It is always an honor to receive such continuous support from our University fans, as part of the Altera University Program partner. They are one of the biggest reason and fuel for us to keep going!